Quiz: What Extreme Outdoor Job Best Fits You? If you want see more extreme outdoor jobs, be sure to check out The Weather Channel this Sunday at 9/8c! Quiz: What Fall Activity Should You Do? Quiz: Which Weather Destination Should You Visit? Wind turbine technician? I DON’T THINK SO!!!!!!!! But I did enjoy TWC’s piece on this career. Avalanche Controller: You may have never heard of this job, but to be an Avalanche Controller takes an insane amount of bravery. Their job is to drop bombs on mountainous areas where avalanches are possible. They target weak layers of snow and create avalanches so nobody is injured or killed by an unexpected one. Avalanche Controllers are fearless and are concerned for the safety of others. I got Wind Turbine Technician! I got the unique recommendation of being a Smoke Jumper, how amazing is that!!! There are currently less than 500 smokejumpers in America because this job is so extreme. They jump out of a plane to areas that can’t be reached by fire truck, put out the wild fire then set up camp in case the fires flare back up or more pop up. They have to be bold brave and willing to risk their lives for the safety of others. Wow!!! 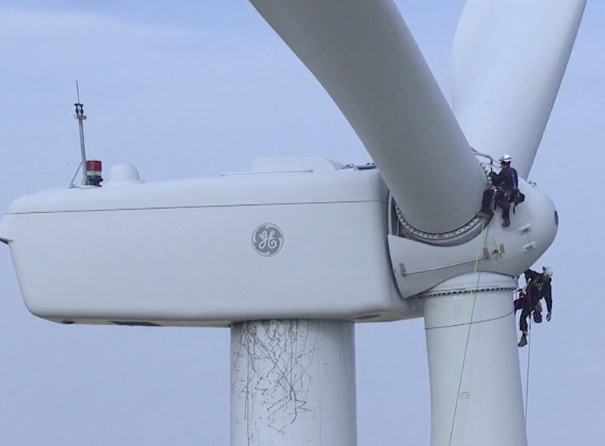 I got wind turbine technician, even though I specifically said that I am afraid of heights…. Volcanologist. Really? Live long and perspire. I got Wind Turbine Technician too! I think that would be a great job, since those things fascinate me! Ooooohhh! Avalanche controller! I could honestly see myself doing that; I love cold temperatures and have a profound fascination with Everest! Hi,l DL here . worked 36 years as railroad yard foreman,lots of climbing and walking,10 to 20 miles a day. As a youngster lived on and in the Ohio river.Swam daylight to dark summer and winter and many days my friends would swim from Neale island to Blennerhassett island which took hours of swimming and floating without touching land but I should like working on wind turbines. Think I will continue enjoying retirement. Crab Fisherman, Don’t think so. I hate being cold and not being able to warm up! But I live at 7000ft in AZ. Rescue Swimmer? I can’t even swim. Rescue Swimmer, I guess that is about right. I was a volunteer fire fighter and I do like helping others in need. I would love to work in Florida as a rescue swimmer. I got vulcanologist. This fits me. I moved to Oregon to be closer to the volcanoes. Mountain guide. That fits well. I got rescue swimmer too….. but I’m too old LOL….. I’d do that in a heartbeat if I had it to do over again…. Mountain guide for me, even though I said I didn’t like heights. Maybe small rolling hills guide..? Mountain guide??? I’m a retired ( age 73 ) woman. That means I’m lazy. I got mountain guide. I love to do short hiking and walking is my second favorite activity in winter behind snow shoeing. Wind turbine technician??!? Sorry, but ixnay on that one. Avalanche Controller really creative since I am a ticket seller. I got helicopter lineman. Never even knew this existed. Amazing. Avalance Controller? No way! Mountain guide sounds more like me! Love the mountains! Avalanche control. Hope they have sit ski since I am in a wheelchair. That was fun …. I’m not a good swimmer !!! Avalanche controller. I love the mountains and enjoy snow; it might be fun. Wind Turbine Technician? Hmmmm….Never even considered it as a job, let alone a profession! Good thing I;m already RETIRED. I got rescue swimmer. Interesting since that job fascinates me. I have a great admiration for those people who serve as rescue swimmers.